See Hotel-Provided Offer Terms and Conditions for details. ©Disney. †Delta SkyMiles Membership number must be provided during pick up at the rental counter. The car must be rented in Member's name to earn mileage. Only one SkyMiles Member per car rental will be credited with miles. Offer valid for rentals picked up at participating Alamo or National Car Rental locations in the United States and Canada. Please allow 6 to 8 weeks after completed qualifying rental for miles to be posted to your account. 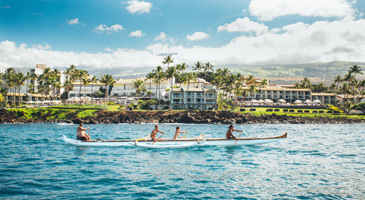 Purchase any Delta Vacations flight and hotel package from any Delta Vacations origin in the U.S. or Canada to Hawaii now, for travel dates that vary. Applicable room categories: Makai @Lagoon Mountain Side; Ocean Tower Ocean View; Ocean Tower Partial Ocean View; Ocean Tower Resort View; and Palace Tower Resort View. Book Palace Tower Resort View for upgrade to Palace Tower Ocean View. 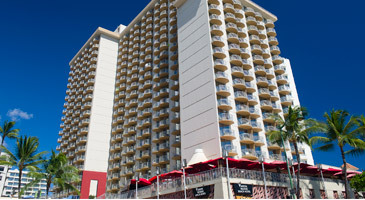 Book Makai @ Lagoon Mountain Side for upgrade to Makai @ Lagoon Tower Ocean Side. Book Ocean Tower Resort View for upgrade to Ocean Tower Partial Ocean View. Book Ocean Tower Partial Ocean View for upgrade to Ocean Tower Ocean View. Book Ocean Tower Ocean View for upgrade to Ocean Tower Ocean Front. Minimum 3-night stay required. Not combinable with other offers. Book by May 6, 2019, for travel April 22 – September 3, 2019. Blackout dates: May 23 – June 1; and August 1 – September 5, 2019. Applicable room categories: All room categories except Suites and 3-Bedroom Grand Villas. Minimum 4-night stay required. 14-night maximum stay. 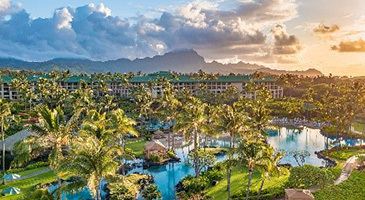 Book by October 23, 2019, for travel August 19 – December 21, 2019. 1 free night is included with a 5-night or longer stay. Applicable room categories: Junior Suite, Ocean Front, Ocean View, Partial Ocean Front, Premier Ocean View and Premier Ocean View. Book by December 24, 2019, for travel July 1 - December 24, 2019. 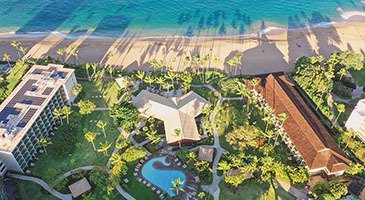 1 free night is included with every 5-night or longer stay + $150 resort credit per stay. Applicable room categories: Diamond Head Ocean View, Ocean View, One Bedroom Ocean Front, One Bedroom Ocean View and Premier Ocean Front. Book by December 20, 2019, for travel through December 20, 2019. Beach, Bed & Breakfast Promotion: Free night, free breakfast buffet for 2, VIP seating at live event + umbrella/chair rental. 1 free night is included with a 4-night stay. Free breakfast buffet for two from 7:00 am – 11:00 am at The Reef Bar & Market Grill. 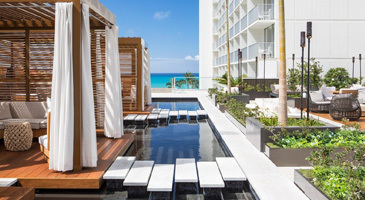 Choice of a two-hour pool cabana or two-hour beach lounge chair with umbrella for two on Waikiki Beach. One time use only. 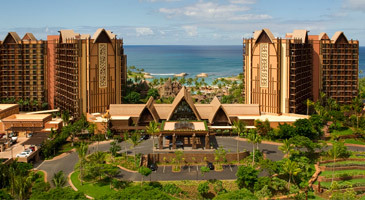 Preferred VIP searing to the nightly, award-winning Kani Ka Pila show (6:00 pm – 9:00 pm). Book by May 27, 2019, for travel through May 31, 2019. 1 free night is included with a 4-night or longer stay. 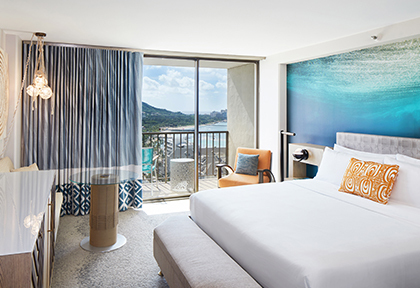 Applicable room categories: Ocean View 1 King Bed and Ocean View 2 Double Beds, Partial Ocean View 1 King Bed, Partial Ocean View 2 Double Beds, Waikiki View 1 King Bed and Waikiki View 2 Double Beds. 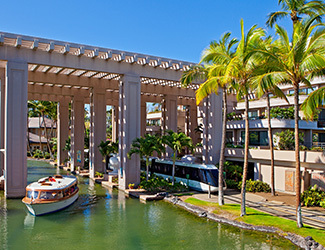 Dining credit is one time, per stay, and only valid at Maui Brewing Company and Hawaiian Aroma Caffe. Preferred VIP seating to the daily live music entertainment at Maui Brewing Company. Applicable room categories: Ocean View; Partial Ocean View and Pool/Courtyard. Children 12 years old and younger will receive free daily buffet breakfast at the Tiki Terrace Restaurant. Book by April 30, 2019, for travel through September 30, 2019. 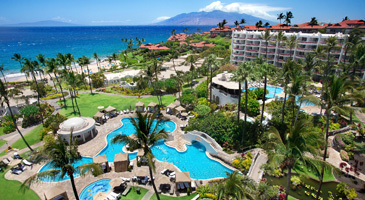 Applicable room categories: Garden View, Oceanfront, Ocean View and Premium Ocean View. 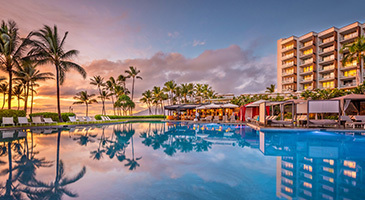 Book by April 30, 2019, for travel April 27 – September 15, 2019. 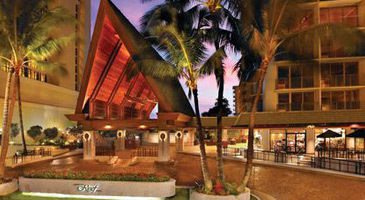 Free breakfast buffet for two adults at Kea Lani Restaurant (relocated to Nicks’ during renovation). Buffet only. No cash value if breakfast is not consumed. Free 1-day cabana rental is subject to availability, and can be pre-arranged prior to arrival with the hotel’s Beach & Pool office. Applicable room categories: Deluxe Ocean View, Ocean View, Partial Ocean View and Signature Ocean View. Discount valid for all rooms except Villa categories. Book by May 6, 2019, for travel through December 15, 2019. Free breakfast buffet for two per room, per day. No meal substitutions allowed. Value of breakfast buffet cannot be exchanged for cash value. Gratuities are not included. Not valid in Presidential Suite categories. Book by May 6, 2019, for travel through December 20, 2019.